Waterbury - Harriet A. Gow, age 91, died at the Vitas Hospice Unit at St. Mary's Hospital on October 4, 2018, after a brief illness. Harriet was born in Derby, CT, daughter of the late Andrew & Mary Ellen (Burke) Gow on May 4, 1927. 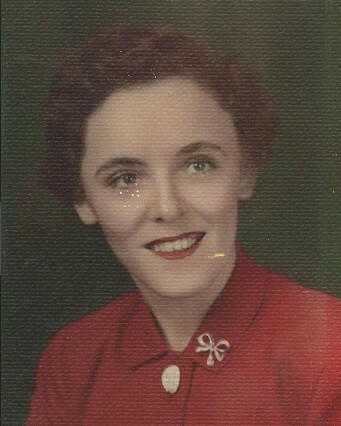 She is survived by her brother Harold Gow and his wife Patricia (Sullivan) Gow. She was predeceased by brothers James, William, and Donald; and sister Mary (Mae) Pekrul. She is also survived by many nieces, nephews, grandnieces and grandnephews and many friends who she was very close with. Harriet worked at Sherwood Medical for 32 years before her retirement and lived independently until her recent illness. She was a world traveler, going on many cruises. The family would like to thank the nurses at the VITAS Hospice Unit for their compassionate care. Family and friends may call on Wednesday, October 10, 2018 from 8:30 to 9:30 A.M. at the Bergin Funeral Home, 290 East Main St., Waterbury. A Mass of Christian Burial will be held at 10:00 A.M. at the Basilica of the Immaculate Conception Church, 74 W Main St. Burial will follow in Oak Cliff Cemetery in Derby.